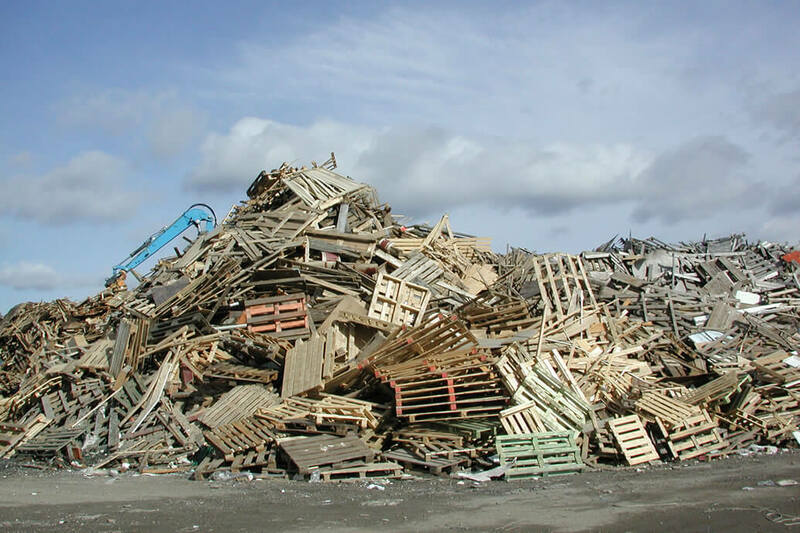 Fires at waste facilities caused by storage of waste fuels are a recurring problem that causes 60–70 emergency service call-outs every year in Sweden. There are also a number of incidents that are handled without the emergency services. The fires generate major costs, both environmentally and financially. The research project “Fire safety in connection with the storage of waste fuels” was initiated in order to increase knowledge and suggest measures to reduce fire risks at waste facilities, primarily on the basis of practical experiences from safety work undertaken and fires that have occurred at various facilities. The project was carried out by RISE and Sweco and financed by the Swedish Waste Management Association. The project was divided into three main parts: an analysis of intervention statistics from the Swedish Civil Contingencies Agency (MSB), workshops with representatives from various waste facilities and an analysis of various documents from waste facilities. Documents studied were a storage plan, some contingency/action plans and some extinguishing water investigations. Results from extinguishing water analyses were also obtained from some facilities. Statistics together with experience from fires show that the cause of the fire in most cases is either self-ignition or unknown. A slight increase can also be confirmed in the number of fires per annum during the period 2012–2015. It has not been possible to determine the main reason for this based on the material available. There are some who believe that the increase is due to incorrectly sorted material, e.g. batteries, but it can also be due to the fact that more waste is being handled. Statistics since 2015 were not available during the project. Self-heating is a common cause of fires in waste. Photo: Anders Lönnermark. In order to benefit from the experiences that exist within the industry, from both fires that have occurred and safety work undertaken, representatives from various waste facilities were invited to two workshops, one in Gothenburg and one in Stockholm, to discuss issues such as how to prevent fires, how to facilitate dealing with a fire and how best to deal with contaminated extinguishing water. 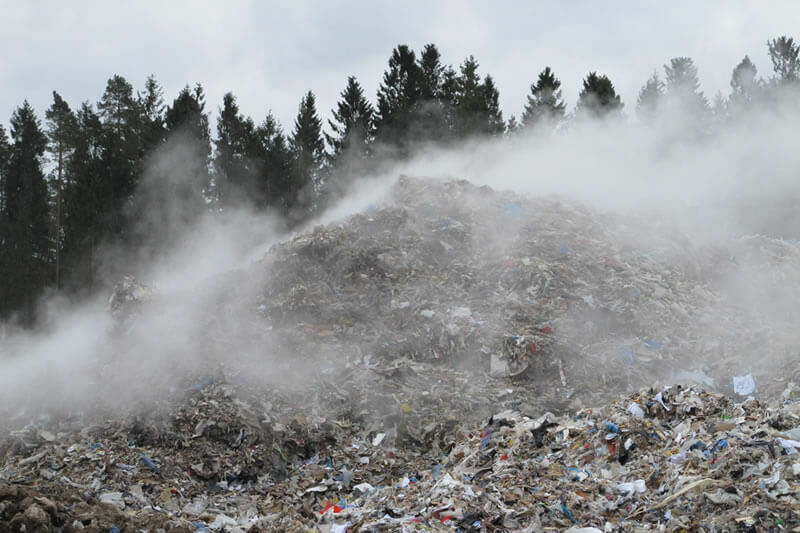 It is believed that many incidents and fires are caused by incorrectly sorted or incorrectly declared waste, which means that control of goods received is extremely important. It is also confirmed that the handling of contaminated extinguishing water varies a lot. It is felt that it would be good to have the same requirements all over the country. There is also a desire for guidance on investigations and analyses of extinguishing water. The summary of the water analyses studied in the project shows that high contents of metals are present to a large extent in the extinguishing water. The water also contains some fluorinated substances that are now banned. A number of desires were also summarised that those attending the workshops had for the future, some relating to the area/industry in general, some to the authorities. The aim is that the combined knowledge and experiences may be of benefit to the industry as a whole, other stakeholders concerned and authorities, and may in due course also form the basis of future industry recommendations. Details of the project’s implementation, the workshops, the main results and recommendations may be found in the project report (in Swedish), which is a Swedish Waste Management Association report (2018:09).